After our hugely successful Mind Your Own Business workshop session last March, we are back this March with two sales-focused workshops in one, which will cover all things sales, money, pricing and bookings. Join me, Natasha Johnson the Celebrants Collective’s Founder and Content Editor Claire Bradford, on this engaging full day, 2-in-1 workshop for passionate celebrants, who want to improve their business skills and fulfil their celebrant business potential. Claire and I will be leading two workshops in one, each covering a range of essential money and sales focused subjects for Celebrant business owners. These workshops will seriously be putting the work into workshop, because as well as engaging presentations from Claire and I, much of the workshop will be about helping you to take action, making changes and moving forward with key areas of the sales side of your business. You know how sometimes when you’ve been on a workshop, you leave inspired to do a million and one things, but actually once back in the real world, you don’t do them, or only one or two of them? Well, during these workshops, we will be working with you to put pen to paper and to make actionable changes there and then, with quick-win results. If you’re prepared to come, you have to be prepared to work! Have you ever dithered over your pricing, feeling that you can’t possibly charge that much for something that you love doing? Perhaps you worry you’re not ‘worth’ your price? Or you discount heavily at any opportunity? Perhaps you lack the confidence to price your services adequately? And constantly worry about how much you charge? Perhaps you talk yourself out of raising your prices for fear of alienating potential clients, even though you know you should? Maybe you’re a celebrant who feels uncomfortable asking for payment, even when it’s overdue? This powerful workshop will delve deep into the stories you’ve been telling yourself about money and your relationship with it. These stories will most likely be very old and very deep, and have very little to do with the business of being a celebrant at heart. 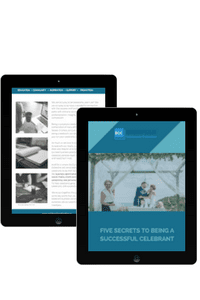 And yet… acknowledging them and releasing their power over you can make every bit of difference to your celebrant business, to your earning potential – and to your wellbeing too. Not only will this workshop session empower you to enhance your income substantially, but also it will enable you to set prices you’re really worth and be confident in sticking to them. 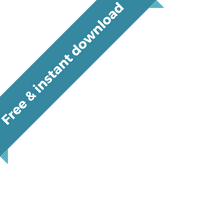 Escaping the chains of limiting money beliefs AND making a few thousand more in the coming year whilst doing the best job in the world? What’s not to love?! To read more about award-winning Claire go here. You’ve spent a lot of time perfecting your celebrant brand, making sure your website is looking spick and span, polishing up your social media presence and doing well with getting your name out there, BUT, perhaps the number of enquiries you get does not match up well with the amount of bookings you secure. Perhaps, you’re ace-ing at getting the attention of potential clients, but every so often you are falling down on closing the deal. There are many reasons why clients might not book you, but let’s make sure it’s for a reason that’s outside of your control, and not because of something you said or did, or even, something that you didn’t say or do. Your initial communication with couples is too overwhelming. You drown them with too much information or starve them with too little. Your communication voice is wrong or doesn’t match your brand. Your process is a little intimidating. You worry about being too pushy or salesy. You may even have a good enquiry-to-booking conversion rate, but still somewhere along the line you could make improvements to your overall sales process and make it even better. Perhaps there is room to make your process smoother, more efficient and even more impactful. In this workshop, I am going to break down the sales process and the thinking behind it, and help you to map out and identify your own process. We are going to look at your plus points and your weaknesses and work out how they can be improved upon, in order to help you convert more enquiries into bookings AND to convert enquiries more confidently and convincingly. I’m also going to show you some of my own tips and techniques which help me to convert 95% of my enquiries into bookings. To read more about Natasha, go here. 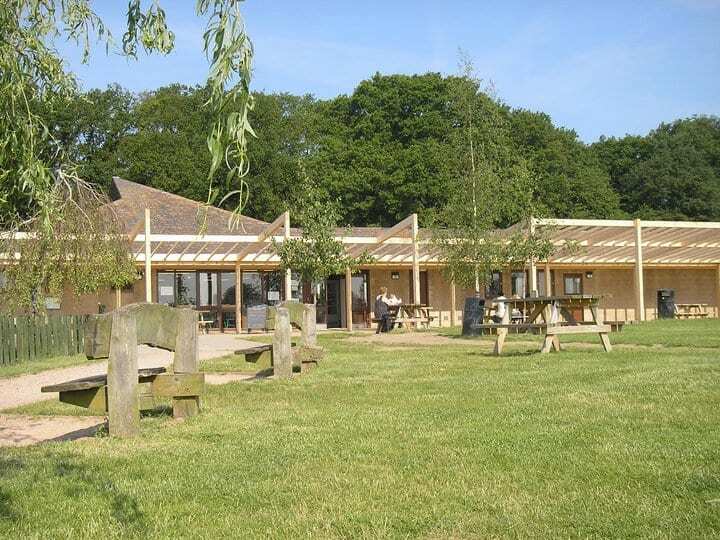 The Countryside Centre, an eco building with turf roof and wood fuel boiler, located in the grounds of the award winning Worcester Woods Country Park with its 100 acres of woodland and meadows. Its quiet surroundings and the landscaped Worcestershire Garden are situated only 5 minutes from junctions 6 & 7 of the M5, and is easily accessed by public transport. There is ample parking at the centre, too. **This workshop is limited to 10-12 spaces maximum, so that we can give as much individual attention and be as hands on as possible. So book now to avoid disappointment. **Please bring notebooks AND your own laptops and other devices for note-taking or as an aide. Wifi is freely available in the workshop space. Because we will be digging deep into your own sales process, it would be great if you can have examples of your emails and other communication to hand. **No refunds are given, but tickets can be transferred to other Celebrants, by notifying us. Member tickets can only be transferred to other Celebrants Collective members. For more information or any questions, you can email us on hello@celebrantscollective.eu. If you would like to pay via our payment plan, where we take half of the payment at the time of booking and the second payment on March 8th, please email us. if you would like to pay by bank transfer, please let us know. A Celebrants Collective tote bag, pen and notebook. Yay! Once you have paid online, you will receive an email from us confirming your space on the workshop and further instructions. If you’ve ever had any doubts about how you sell yourself as a celebrant, from the way you package up and market your services and set and state your prices to the way you initially communicate with couples, then these two workshops are for you. You will leave with a renewed sense of worth, with a better understanding of your money mindset and sales process, and with actionable plans and strategies in place to improve the sales side of your business.